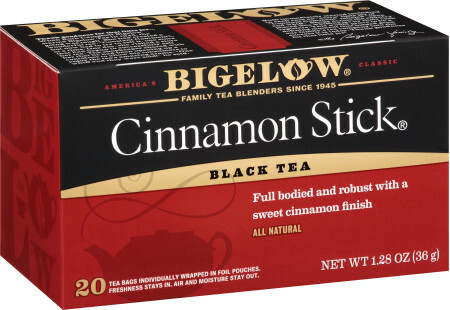 What better way to end a cold weather meal than with the warmth of this bread pudding flavored with Bigelow Cinnamon Stick. Cube bread and let dry over night or in low oven (200 degrees) till crisp, but not brown. Heat milk and steep cinnamon stick tea for about ten minutes. Remove tea bags and add sugar and melted butter. Crack eggs into separate bowl and add 1 cup warm milk mixture to eggs and stir. Add egg and milk mixture to milk and sugar and stir to completely incorporate. Toss bread with apple and pour in egg and milk mixture. Allow bread to absorb milk mixture for thirty minutes or overnight. Bake at 350 for 45 minutes or until center springs back when touched. Let cool completely and slice into one inch slices. Bring cream to simmer and add vanilla chai tea bags and let steep ten minutes. Remove tea bags and add sugar, egg and starch mixture and bring to a simmer and cook till thick. Preheat thick bottom sauté pan and melt butter. Lightly dredge bread pudding slice in flour and place in hot butter and sauté till brown. Turn over and cook other side till brown and immediately serve on warm plate with vanilla chai sauce. May we suggest Earl Grey Tea - Case of 6 boxes - total of 120 teabags to pair with this recipe?